Enjoy 2015 with di studios as they host the new concept of entertainment. Music concerts and movies along with art shows and social gatherings. 10/2014…Quick service, friendly staff and did a great job on our house. I have also been invited to their showroom for and it is unbelievable. They have some good ideas on how to equip your home or office. I recommend them to any one looking to get work done. 10/2014…Digital Installers has participated in our Trunk or Treat Event at Longfellow Elementary school for the past two years. They brought their Dance Revolution screen and music for our students to enjoy. Working with Dusty and his team has been seamless and we are happy that they again this year, will be a part of our fundraiser! 09/2014…A GREAT meeting or small event space! 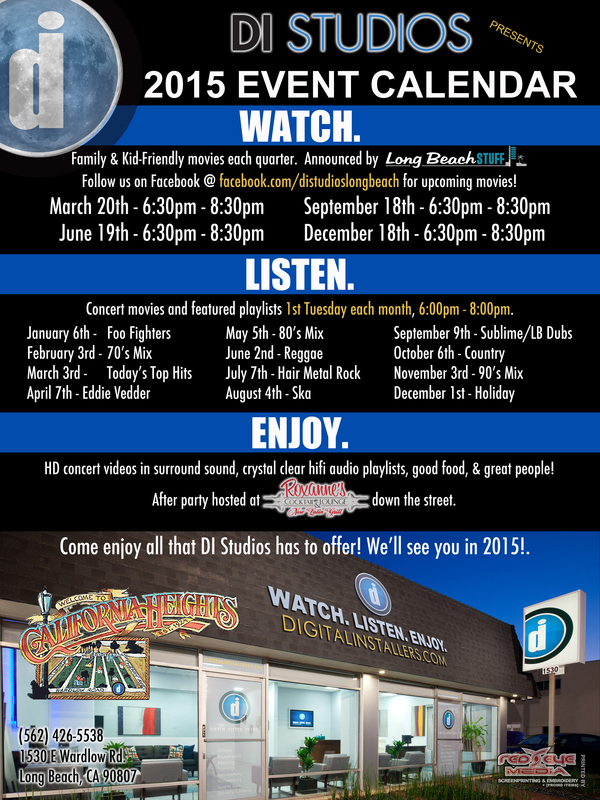 We are lucky enough to use DI studios for our monthly management meetings. We are definitely more productive with our meetings by using this ideal space that is fully equipped! We either sit outside in the comfortable back patio space, or use the conference and interior spaces that are loaded with a presentation screens. They have a full kitchen which is great and very convenient. The staff is super accommodating and very friendly! 05/2014…A GREAT meeting or small event space! We are lucky enough to use DI studios for our monthly management meetings. We are definitely more productive with our meetings by using this ideal space that is fully equipped! We either sit outside in the comfortable back patio space, or use the conference and interior spaces that are loaded with a presentation screens. They have a full kitchen which is great and very convenient. The staff is super accommodating and very friendly! 05/2014… Great experience with these guys… Very knowledgable, professional and courteous. Service was great as well. We will be using them again!